Fifth grade marks the end of the primary phase. By now, the kids should be deep into chapter books and hopefully have read Narnia, Potter, Wrinkle in Time, and whatever the hot series of books are now. As homeschoolers, I hope you have read some books that feature families such as us. 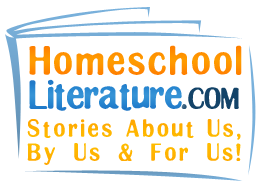 The best directory of Homeschool Literature is this site. For an authentic exercise, you can have your students write review of these books and send them in to get published on the site. Want Strong Writing and Grammar Results? K-5 schools using WriteSteps have seen a dramatic increase in standardized test scores. Our lessons are proven with a variety of teaching styles, learning styles, and socio-economic levels. The curriculum teaches 100% of the writing and grammar Common Cores, and other state standards, with writing instruction that spirals across all grade levels. Practice makes perfect. Students build critical writing skills from instructional modeling and daily writing practice.